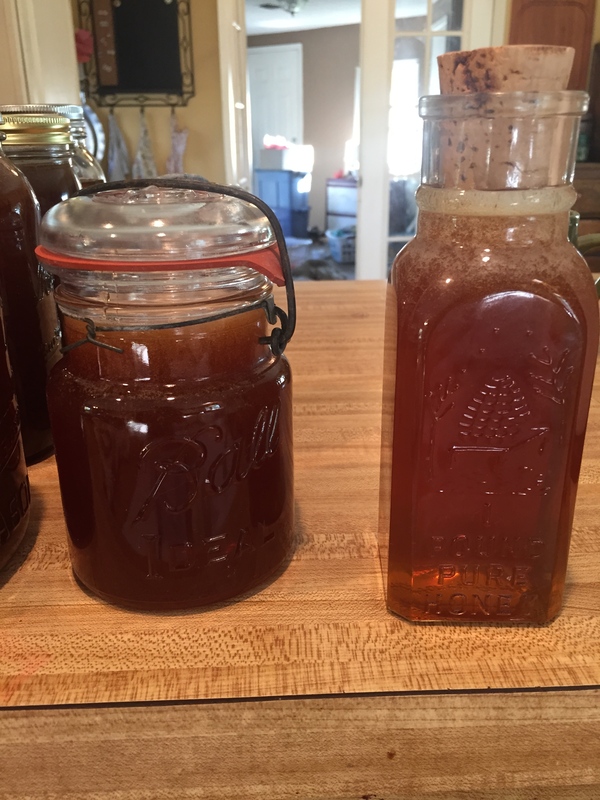 August 30, 2015 February 26, 2016 janellecoleLeave a Comment on Honey, sweet honey! 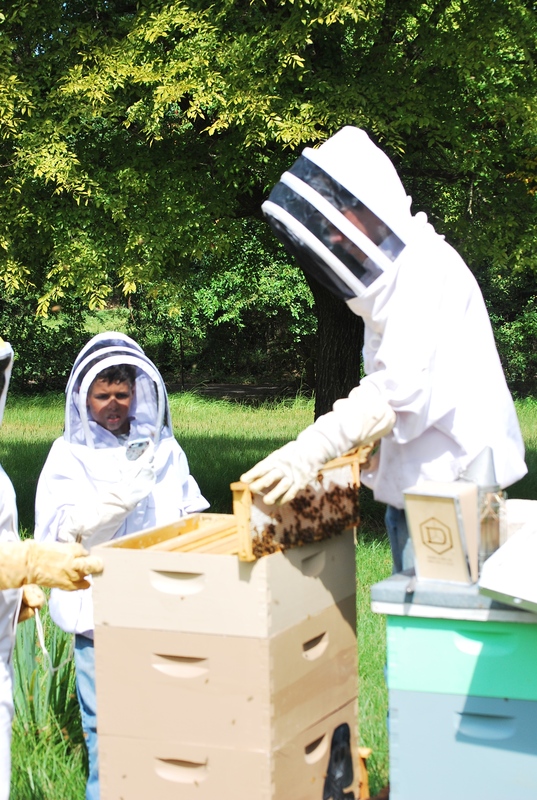 This summer we realized it was time to harvest honey! Even though Robert was heading to Maine, we were given a day to use our friend’s equipment. 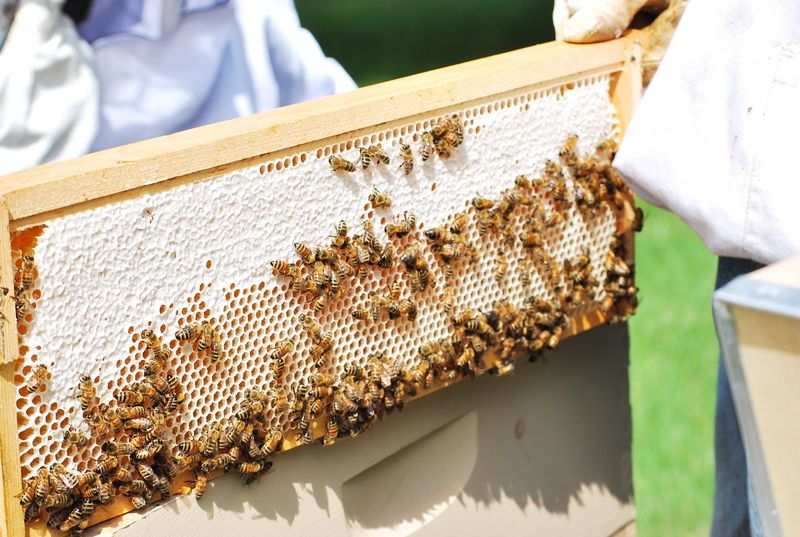 So, Peter, Eli and I went out and got our frames of honey – two boxes full, about 20 frames. 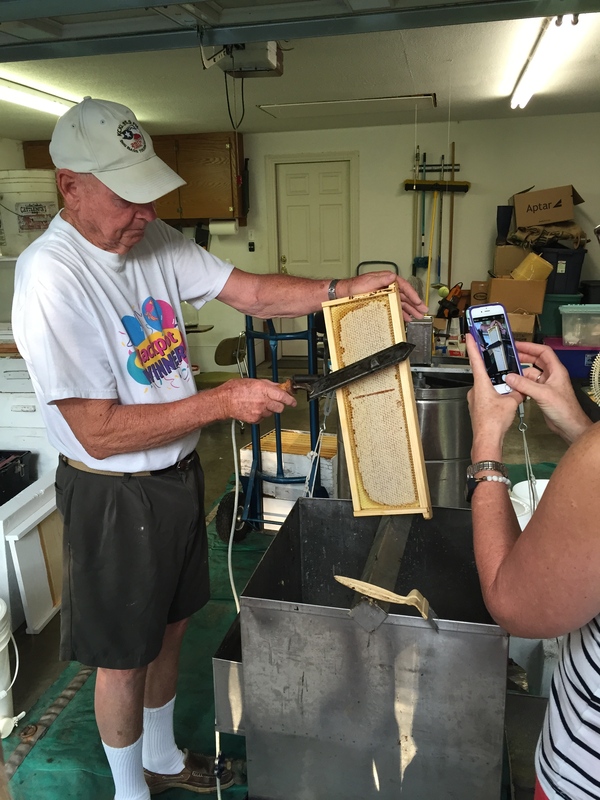 Then we headed to our friend’s house to help her get her frames so she could get her honey too. Then we got up early and headed to our friend W.D.’s house to use his extraction equipment. This was my first time, and I had no idea how much honey to expect or anything. And before this year, my favorite honey was W.D.’s – I LOVE his honey. But this year I think I fell in love with out honey! Oh my goodness!! So fun!! 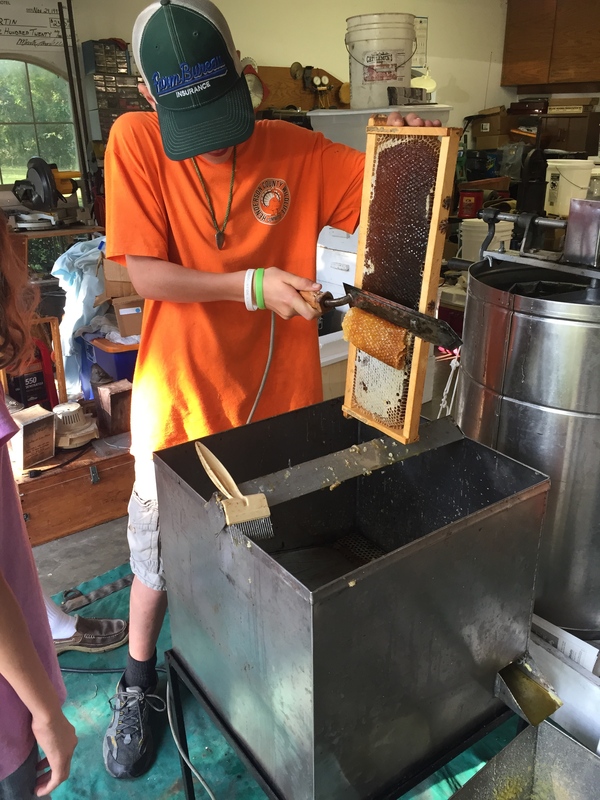 We ended up with 5 gallons and 4 lb of honey. It may seem like a ton, but at the rate I am giving it away and planning to give it away at Christmas it may not last the year!! But that is okay, there will be more next year! !